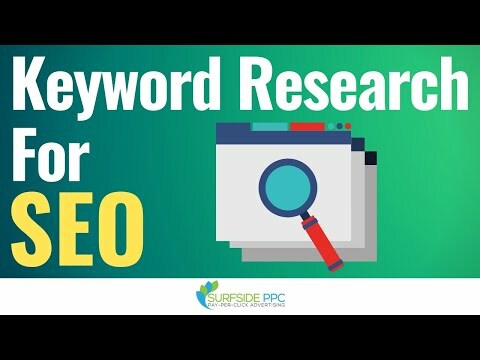 Discover how to do keyword research for SEO by watching our video. I will cover how to find the top search engine optimization keywords for your business with keyword research. This is a strategy that I have used for my own business to uncover content ideas, keyword ideas, and learn ideas for growing my business through organic search. There are many different keyword research strategies, so this is just one way to find keywords, categories, and ways to grow your website. The first thing I do is open the Google Keyword Planner and I will also use UberSuggest as well. In addition, I open Google Drive and specifically Google Sheets because I will be using that to find my top keywords. In the Google Keyword Planner through Google Ads, you want to start by entering your top keywords to find the most relevant keywords for your business. You can create filters to make sure you only see the top keywords by average monthly searches and the most relevant and targeted search engine keywords for your business. Next, you can Download Keyword Ideas at the top to get a CSV file of the keywords that people use most when they are looking for products and services that you sell. After that, you can go back to the Keyword Planner and enter some competitor websites. If you do not know your competitors, search your top keywords in Google and find the most relevant competitors with niche websites that are similar to yours. Perform the search for their entire website, download keyword ideas again, and build a spreadsheet of keywords and average monthly search volume for each keyword. Once you do this several times with your competitors and your top keywords, you want to have a list of organic search keywords for your SEO keyword research and their corresponding average monthly searches. You can take those two columns, copy them, and paste them into Google Sheets through Google Drive. We will be doing the rest of our Search Engine Optimization Keyword Research here. You can use the Unique function to find unique keywords from the list and the corresponding average monthly searches. Now, you have a list of the most popular and most relevant search engine keywords for your business. From there, I generally create a content ideas list, which you can use a variety of sources to help you make. Then, when you are creating content to rank in search engines, you can use a combination of the Google Keyword Planner and UberSuggest to find the most popular and relevant keywords for each short-tail keyword.